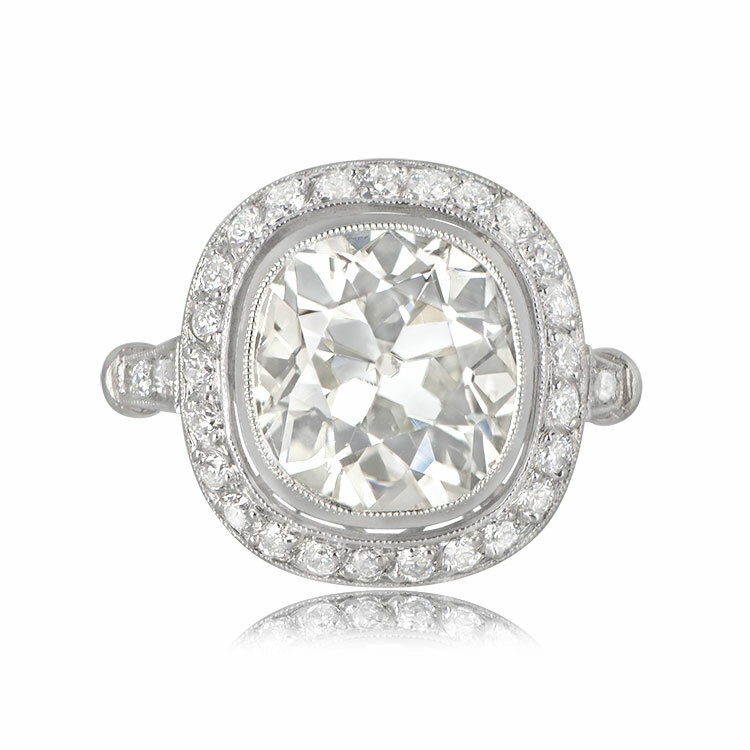 A rare and lively antique cushion cut diamond featured within a halo and adorned by a triple wire shank. 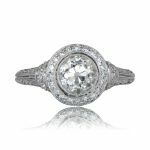 The center diamond is bezel set and surrounded by antique diamonds, and weighs approximately 4.62 carats, L color, and SI1 clarity. 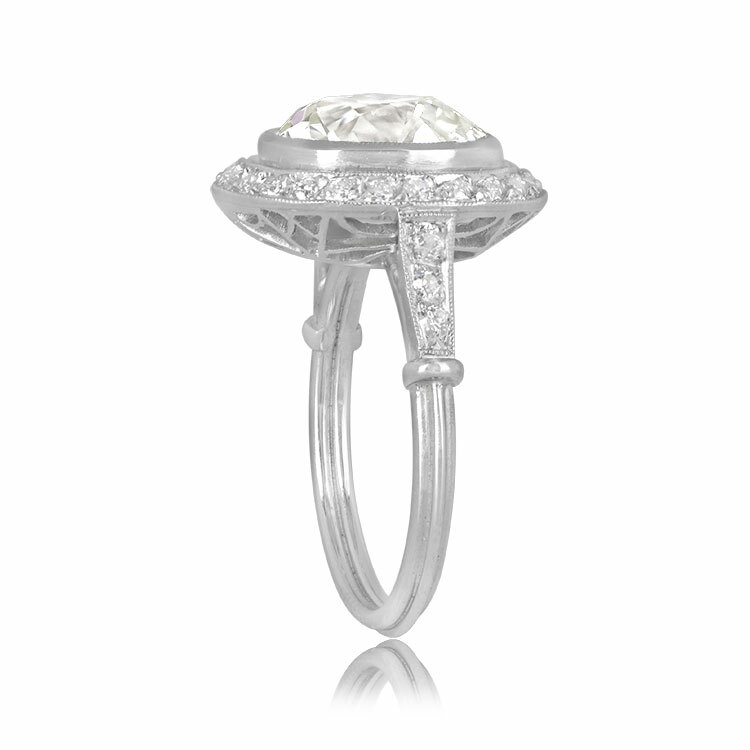 This platinum ring features a beautiful under-gallery and a triple wire shank. The antique diamond was cut circa 1910. 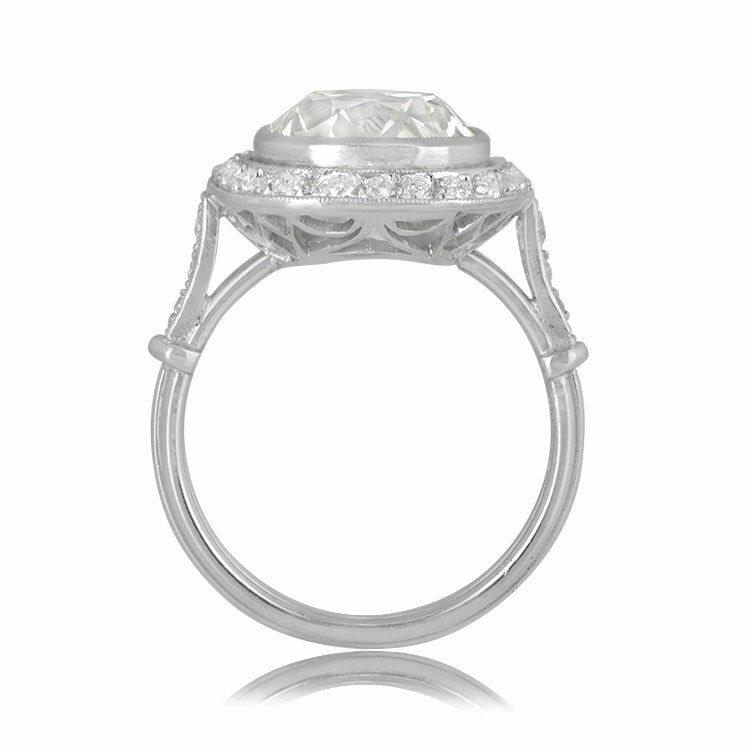 The measurements, including the diamond halo, is 16.15mm x 15.30mm. 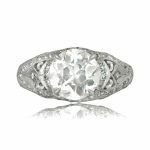 SKU: 12139 Categories: Cushion Cut Engagement Rings, Old European Engagement Rings, Old Mine Engagement Rings, Vintage Engagement Rings - Contact us and request additional pictures.